A paper mentioning the results of the tests conducted on the uncrewed semisubmersible vehicle (USSV) were published in the journal, Advances in Atmospheric Science. USSV can collect crucial data about the atmosphere and ocean. China has reportedly unveiled the world’s first robotic, partially submersible ship that can be utilized to launch sounding rockets. As per trusted sources, the new boat would assist meteorologists better comprehend the atmosphere over the oceans. 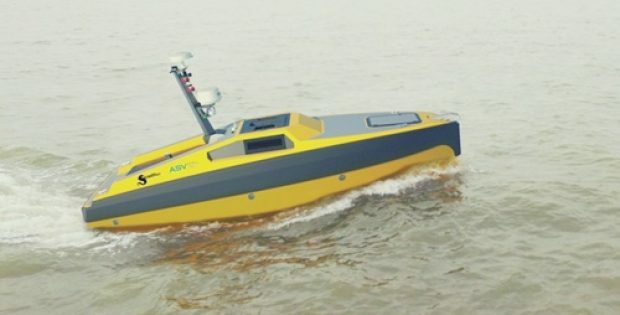 Named uncrewed semisubmersible vehicle (USSV), the robot ship was tested last year and the outcomes of the same were published in the Advances in Atmospheric Science journal on Jan 31, 2019. A sounding rocket, for the uninitiated, is an instrument-carrying rocket built to conduct scientific experiments during its sub-orbital flight. These rockets are usually launched from land-based facilities. However, they can also be launched from crewed ships or aircraft carriers. Reportedly, these rockets are utilized to transport instruments from 48 to 1,448 kilometers into the atmosphere of Earth. Generally, this is the altitude between where satellites and weather balloons are found. The Virginia-based Wallops Island Space Flight Center of NASA is known to launch about 25 sounding rockets each year. The satellites utilized to visualize weather patterns across the world, for instance NASA’s Hurricane Hunter aircraft or manned vessels, can be dangerous, difficult, and expensive to study the three-quarters of the Earth’s atmosphere that is found over water. According to a report by Live Science, the USSV travels underwater most of the times as only its equipment compartment is visible above the waterline. The robot ship has been built to sail into bad weather and collect vital data about atmosphere by deploying a sounding rocket with its package of instruments. Sources familiar with the development claimed that the USSV is 1-meter (1.2 feet) wide and 8 meters (28 feet) long. The robot ship is more stable as it has low-center-of-gravity.